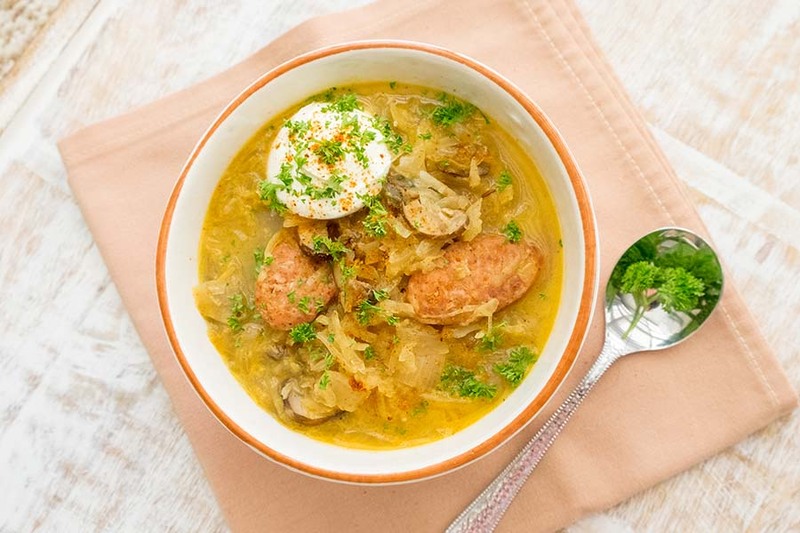 One of the best sauerkraut soups originates from Slovakia. 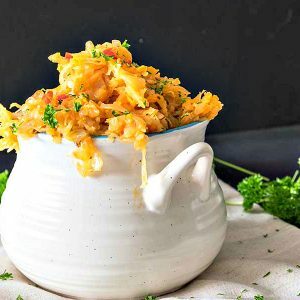 Fermented sauerkraut has many health benefits. It is naturally gluten free, rich in dietary fiber, vitamin C, K and iron, and is low in calories. 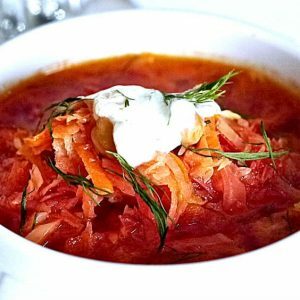 There are many versions of sauerkraut soup, but this one is by far the best one. 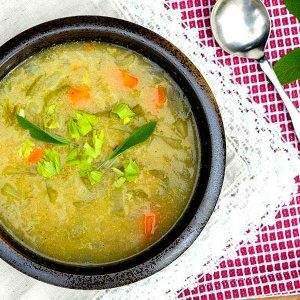 Because of the health benefits and low calories, this soup is an excellent choice when following a well-balanced healthy diet. Heat olive oil over medium-low heat in a large soup pot. Add onions and cook until slightly golden. About 5 - 7 minutes. Stir in paprika, bay leaves and caraway until just fragrant. Add sauerkraut and stir until onions and spices are well combined with the sauerkraut.